Tasted blind at the chateau, the 2001 continues to be an exceptional wine, one of the finest in the vintage. It has a wonderful, graphite-tinged nose that unfurls beautifully with blackberry and touch of dried orange peel with more noticeable cigar box aromas than I have noticed before. The palate displays superb definition with fine but rigid tannins and crisp acidity. 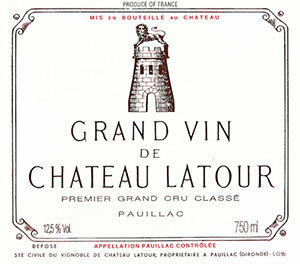 It is not a powerful Latour, but one that is very refined and controlled. In another ten years, it will be ranked against the 2000 and who knows, it may even match it. Outstanding. Tasted June 2011.